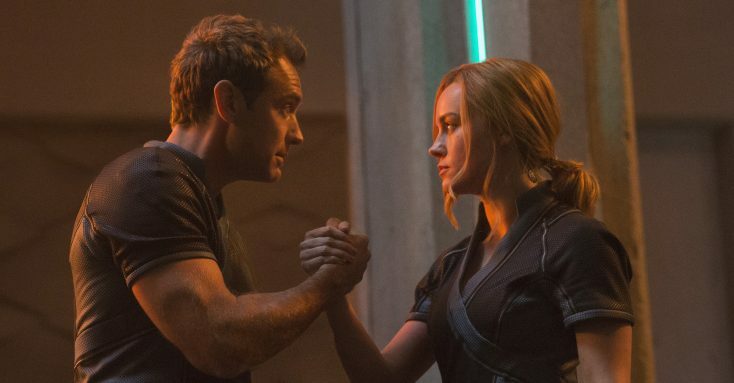 Brie Larson stars in Marvel Studios’ CAPTAIN MARVEL. ©Marvel Studios. 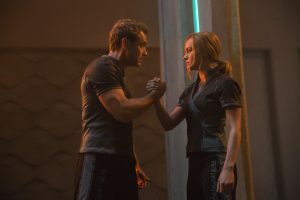 CR: Chuck Zlotnick..
(l-r) Leader of Starforce (Jude Law) and Carol Danvers/Captain Marvel (Brie Larson) in Marvel Studios’ CAPTAIN MARVEL. ©Marvel Studios. CR: Chuck Zlotnick. 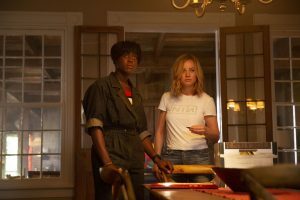 (l-r) Maria Rambeau (Lashana Lynch) and Carol Danvers/Captain Marvel (Brie Larson) in Marvel Studios’ CAPTAIN MARVEL ©Marvel Studios. CR: Chuck Zlotnick. 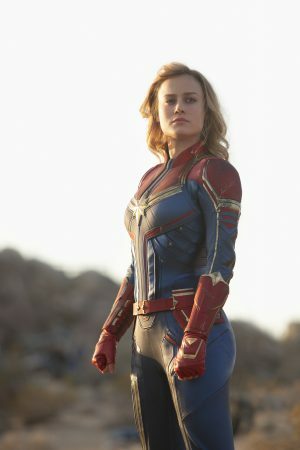 (l-r) Korath (Djimon Hounsou), Att-Lass (Algenis Perez Soto), Carol Danvers/Captain Marvel (Brie Larson), Bron-Char (Rune Temte) and Minn-Erva (Gemma Chan) star in Marvel Studios’ CAPTAIN MARVEL. ©Marvel Studios.